Google Search has some really great tools and features to help you when you are performing research. Tools such as Google Image Search, Google Books, Google Scholar, and Google News can all be used in slightly different ways to help you answer your questions. This blog post will highlight how to use each of these tools to access primary resources, along with providing some concrete examples and tutorials. We all use images for various research projects and assignments. Google knows this, which is why it has made it easy for users to search for images based on different usage rights. 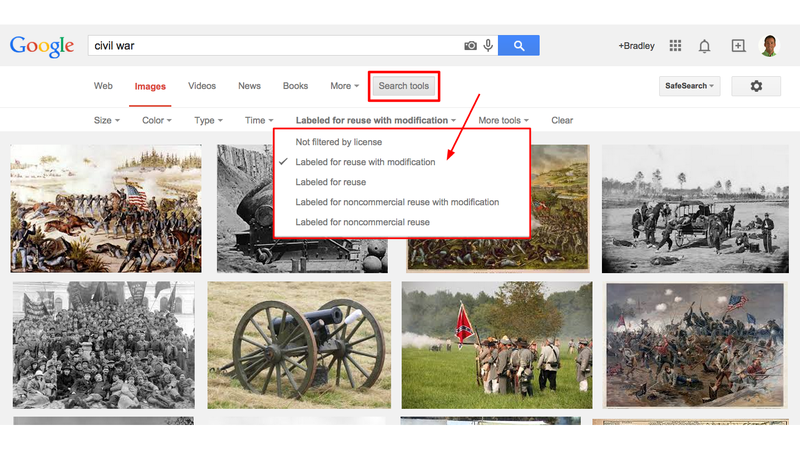 By selecting Google Image Search, and clicking on the "Search Tools" button, you can filter your image results by usage rights. I like to search for images that are "Labeled for reuse with modification" to ensure that I don't infringe on anyone's copyrighted works. Have you ever thought about using Google Books for research? There are actually tons of free ebooks that can be easily accessible for reading, or for research. Google Books has lots of books that are in the public domain so users can access these books in full text for free. 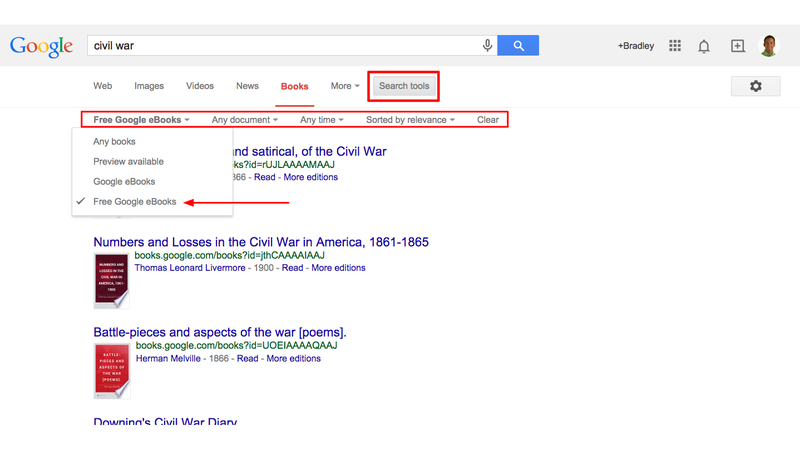 In order to search for free Google Books, simply type in your research topic and select "Books". Then, select the "Search Tools" button and change "Any books" to "Free Google ebooks". 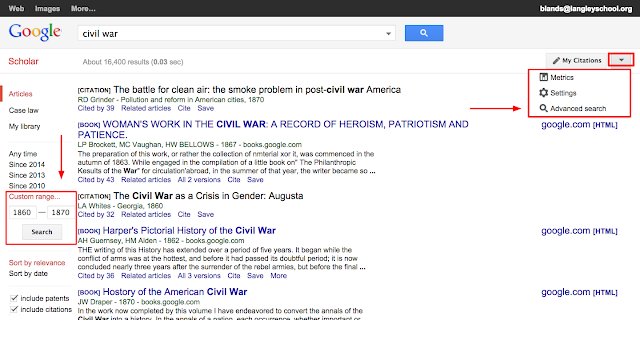 Now you can perform your research by skimming and scanning free Google Books. If you are interested in searching for more than just books, Google Scholar is a great place to start. With Google Scholar, you can search for citations, books, journal articles, and even case law. When performing research in Google Scholar, it is often helpful to set a custom date range to help refine your results. For even more options, select the down arrow at the right and choose "Advanced search" to use additional search fields in your search. Did you know that Google has a collection of historical newspapers? It's called the Google News Newspapers Archive and it dates all the way back to 1970. There are hundreds of Newspapers that have been scanned and uploaded in the archives to be used for research. 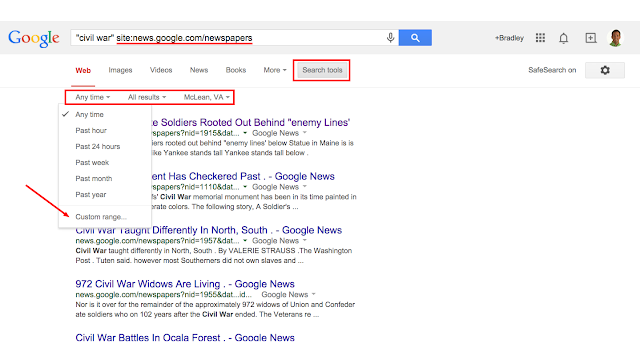 To use the Newspapers Archive, you can either visit the archives directly at http://news.google.com/newspapers, or you can type your query and include the operator: "site: news.google.com/newspapers" in the Google omnibox. 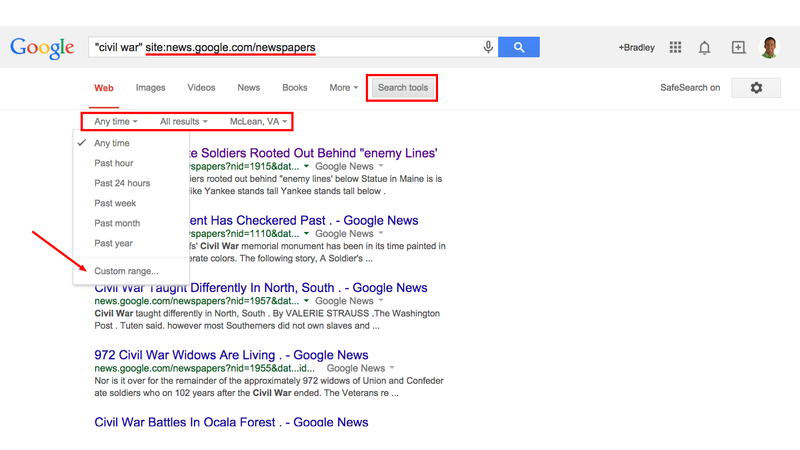 This will automatically search your query in the Newspapers Archive. You could also just browse the newspapers that are available in the archive. They are listed in alphabetical order. So, the next time you are conducting research, consider using Google Image Search, Google Books, Google Scholar, and Google News. They just might be able to help you find what you are looking for! Check out the video below to watch a screencast demonstration on how to use these Google Search Tools for research.